Hinckley Academy as the new venue for the Hinckley Vintage Fair was a real success and so we are back there again this year. We had an almost record number of people coming along and they all bought lots of beautiful things from our brilliant stallholders, we are aiming to make the 2019 fair just as good. 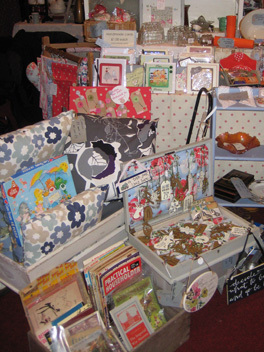 We will have up to 40 high quality stalls selling the usual wide variety of lovely vintage things to suit all tastes and pockets. There will again be a pop-up cafe serving teas, coffees, soft drinks and a wide range of mouth-watering home-made cakes, sandwiches and sausage rolls. Last year this was so popular they almost sold out. This year the vintage DJ will be returning again to play more records from the 40's, to the 60's throughout the day. Accompanied children free of charge.